Sean joined Moore Ingram Johnson & Steele, LLP in 2018. Congratulations to Attorney Sean Robinson for being one of the newest inductees to the Order of Barristers, Georgia State University College of Law. The Order of Barristers is a national honorary organization whose purpose is the encouragement of oral advocacy and brief writing skills through effective law school oral advocacy programs. Sean joined Moore Ingram Johnson & Steele, LLP in 2018 as a member of the Litigation Department. He received his J.D. from Georgia State University of College of Law in 2018. While at Georgia State, Sean was actively involved in the school’s advocacy programs. As an Attorney on the mock trial team, he reached the elimination rounds at both competitions he attended. 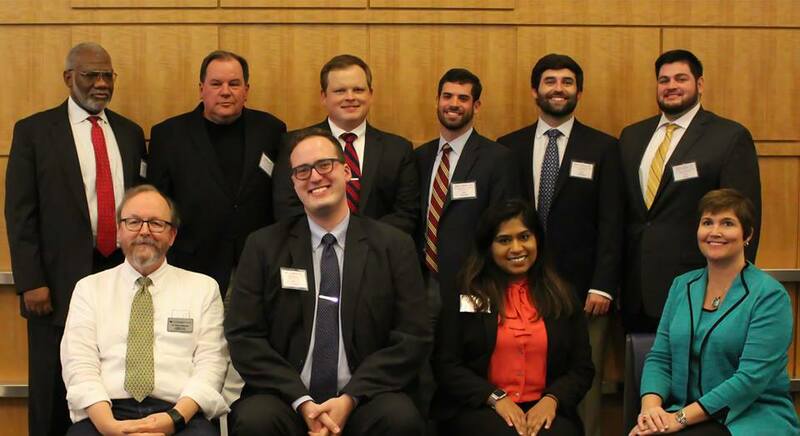 In Moot Court, Sean was a semi-finalist at the annual Intrastate competition and served as Moot Court President. During his final semester of law school, Sean was a Litigation Associate and assisted teaching trial practice to second-year students.